If you’ve been playing in the Defiance 2050 beta, you only had one class to play. But there are more! Many more! OK, just three more, and they’re on display in today’s dev video. The assassin is a stealthy damage dealer that focuses on critical strikes to make short work of enemies. The guardian is a front-line fighter who deploys a barrier to protect allies or unleashes a shockwave to knock down foes. 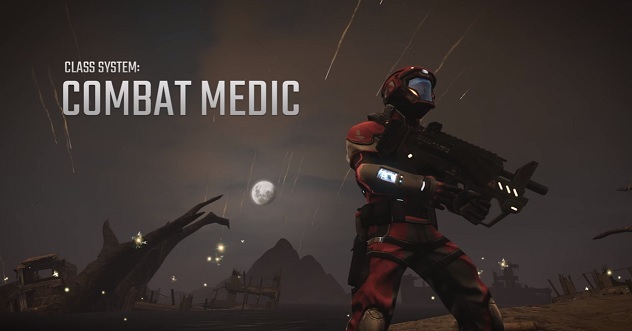 The combat medic is a support class that heals and buffs allies with the help of a healing bot. Finally, the video recaps the balanced abilities of the assault class, which has offensive, defensive, and support capabilities, including a melee attack that deals heavy damage. You’ll be able to pick one class at character creation, with the option to unlock more via gameplay or through the cash shop. When does defiance 2050 release for console? You can play this game on XBox One and PS4. Which console do you want to use? Probably i should give it a try.